Today I wanted to write about the Pizza Creature, and I am surprised that I never did so before. 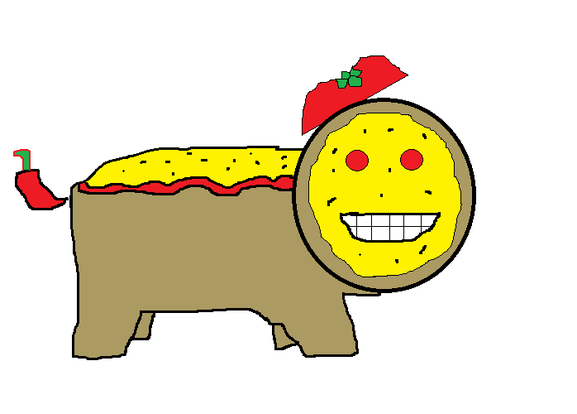 I created the Pizza Creature when I was in my third year at university. I was writing a story where the main characters popped into a pizza restaurant and I thought up the Pizza Creature as the mascot of that restaurant. I drew it up in my next seminar, and since then I’ve become very fond of it. One day I’d like to work for a marketing department at a pizza restaurant, so that the Pizza Creature will be able to fulfil its destiny.